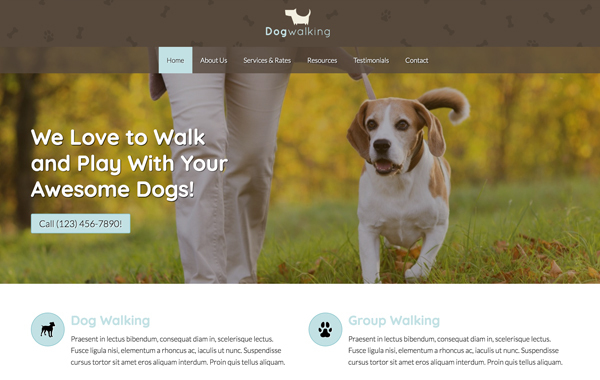 A professional website for your dog walking company is within your reach when you start with the Pet Care WordPress Theme. This pre-built WordPress theme comes with the important pages and business features already in place, so all that's left to do is fill in your own text and photos. It's a beautiful thing if you can get paid for what drives you. However, much need to be done to create a living from your passion. And one of those things is making sure your website is a reflection of this true passon. 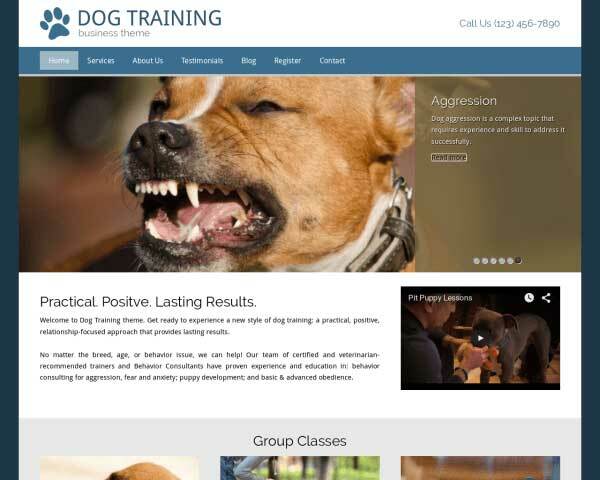 With the Pet Care WordPress Theme we've incorporated a design which both serves your main services. 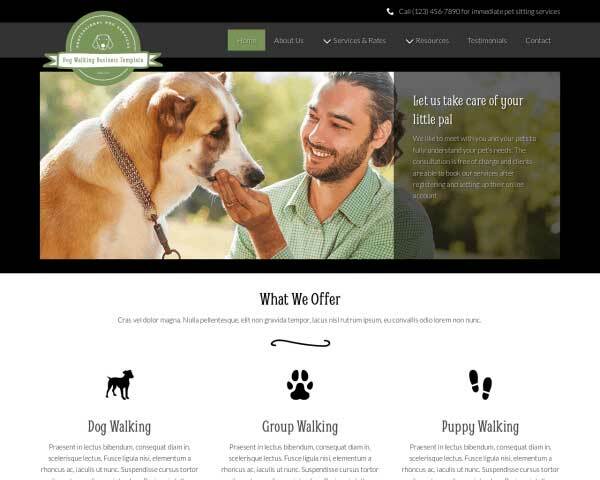 The Pet Care WordPress Theme is built with the business needs of dog walkers in mind. Everything you need is included to help you get your website online fast. 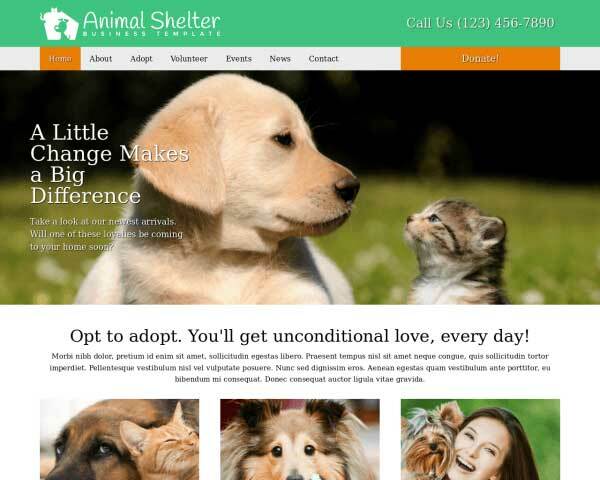 Highly visible call-to-actions on nearly every page of the Pet Care WordPress Theme encourage visitors to contact and makes it easy for them to do it! 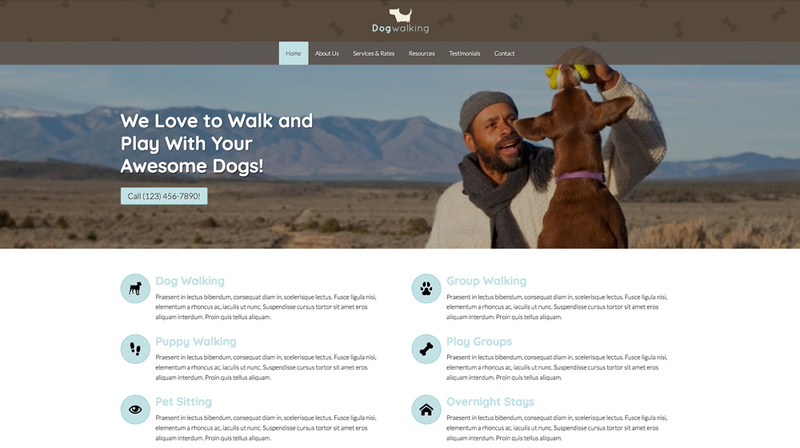 The Pet Care WordPress Theme comes with an image slider where you can upload your own photos, adding an exciting, attention-grabbing element to your homepage. Once you've got them hooked, tell visitors how to get more info on the Pet Care WordPress Theme's Contact page. Its flexible layout can be easily customized to suit your needs. 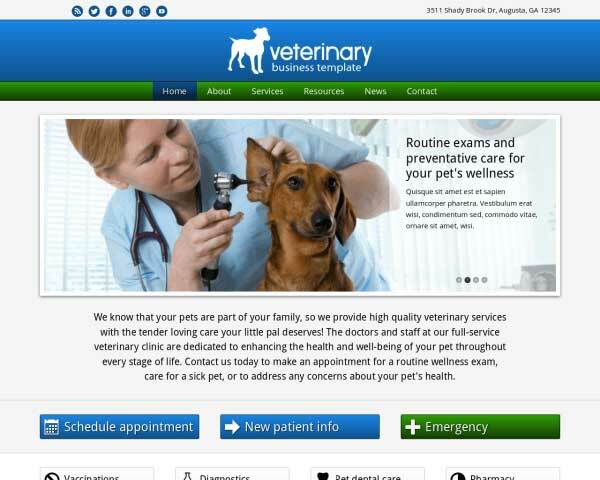 List helpful links for pet owners on the resources pages of the Pet Care WordPress Theme, with individual pages set up for your recommendations on local vets, boarding facilities, pet adoption centers and more. Price is often a deciding factor for customers before choosing your business, so we've included handy built-in rate charts. Just replace the text with your own services and prices. 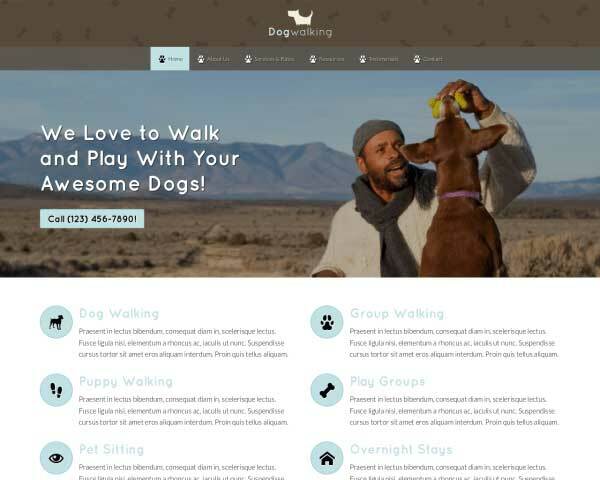 With the Pet Care WordPress Theme you have a quality tool to create elegant and appealing service detail pages with above-average layout and styling. 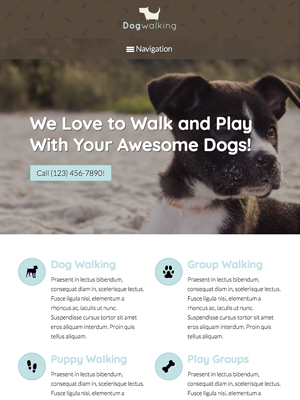 The Pet Care WordPress Theme allows you to attract more customers with the theme's pre-built service pages, you get all of this in an easy to use template. Share a bit of information about your company, using the about page and introduce your team with a photo and short bio. 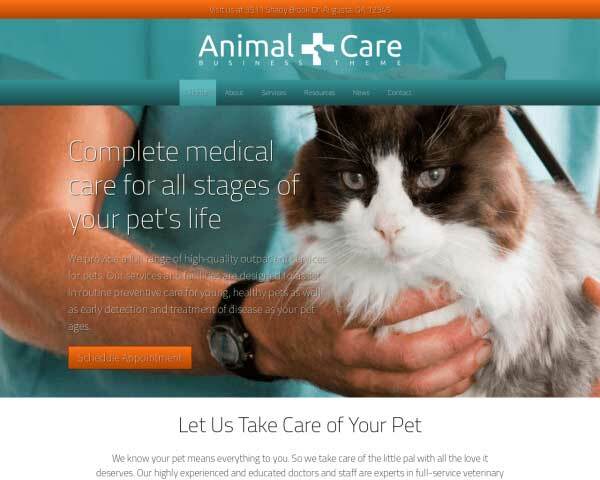 The Pet Care WordPress Theme makes it easy! 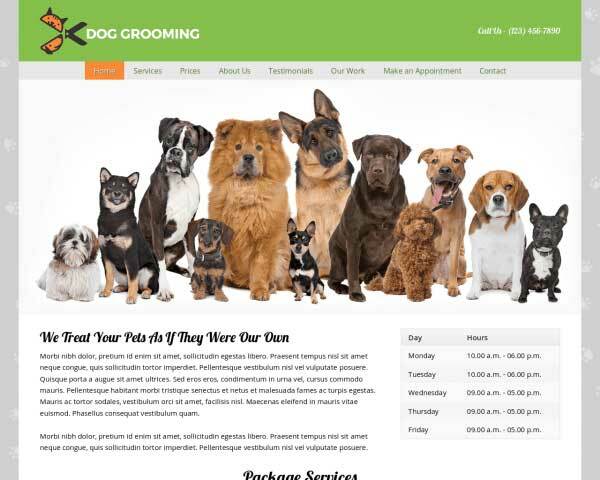 Treat visitors to a great mobile experience with the responsive Pet Care WordPress Theme. 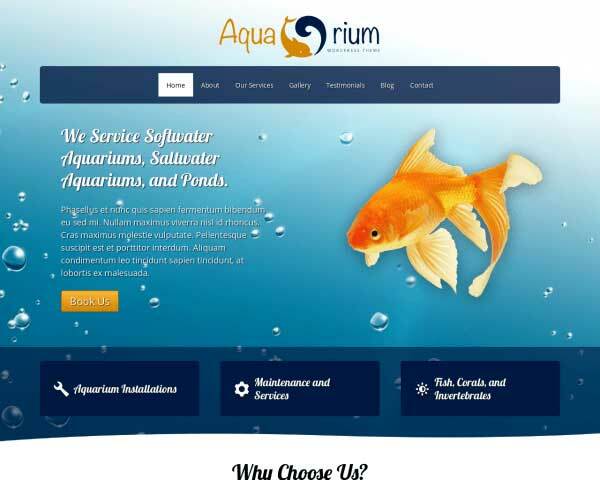 Its mobile-optimized design ensures that your website will render beautifully on any handheld device, offering the same professional look and functionality of the desktop version. Without any additional plugins or tedious coding, the layout of your content will automatically adjust to fit neatly on any screen size. In addition to gorgeous full-width images and intuitive navigation, mobile visitors will enjoy the ability to tap on your phone number to dial or tap your email to open a new draft.